This two day presentation will demonstrate that it is possible to achieve a reliable diagnosis and provide developmentally appropriate, evidence-based intervention for young children in community settings by training community professionals and parents. Dr. Wetherby will also review the newly implemented DSM-5. Important changes in the Diagnostic and Statistical Manual of Mental Disorders (DSM-5) for autism spectrum disorder and communication disorders will be reviewed and implications for improving early detection will be highlighted. Research findings of the CDC/NIH funded FIRST WORDS® Project on red flags of ASD in infants and toddlers will be presented. Video vignettes will be shown to illustrate specific red flags using the DSM-5 framework in very young children later diagnosed with ASD. Plans for rolling out Autism Navigator® web-based tools and courses that uses extensive video footage to increase the capacity of primary care physicians, early intervention providers, educators, and families to improve early detection of young children with ASD will be highlighted. Saturday, April 5: What are the Active Ingredients of Effective Programs for Toddlers with Autism Spectrum Disorder? The need for community viable evidence-based intervention strategies for toddlers with autism spectrum disorder (ASD) is a priority with earlier diagnosis. The Early Social Interaction Project (ESI) teaches parents of toddlers with ASD how to embed evidence-based intervention strategies and supports in everyday activities in natural environments to promote the child’s active engagement. Research findings from the randomized controlled trial of ESI, funded by Autism Speaks and NIMH, will be presented. Strategies for implementing intervention in everyday activities in the natural learning environment will be illustrated through video vignettes of toddlers with ASD and their families. Plans for rolling out Autism Navigator® for Early Intervention Providers, a web-based course that uses extensive video footage to increase the capacity of early intervention providers to improve outcomes of young children with ASD will be highlighted. Part 1. Evidence-based Early Intervention for Toddlers with ASD: What Does the Research Tell Us? Amy M. Wetherby, Ph.D., CCC-SLP, is a Distinguished Research Professor in the Department of Clinical Sciences and Director of the Autism Institute in the College of Medicine and the Laurel Schendel Professor of Communication Disorders at Florida State University. She has thirty years of clinical experience and is a Fellow of the American Speech-Language-hearing Association. Dr. Wetherby has published extensively and presents regularly at national conversations on early detection of children with autism spectrum disorders and intervention for children with autism spectrum disorders using the SCERTS model. 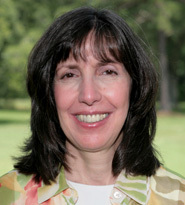 Dr. Wetherby is the Project Director of the FIRST WORDS project (firstwords.fsu.edu), a longitudinal research investigation on early detection of autism spectrum and other communication disorders, funded by the U.S. Department of education, National Institutes of Health, and Centers for Disease Control and Prevention. She is also the Principal Investigator of the Early Social Interaction Project, an early treatment study teaching parents of toddlers with autism spectrum disorders how to support social communication funded by Autism Speaks and the National Institutes of Health. Bursaries for low-income participants and/or those travelling from outside their home regions to an event are available for B.C. residents. Call ACT’s office for more information, review our bursary policies or email info@actcommunity.ca with your request prior to registering. ACT provided $12,000 in bursaries in 2013 and gratefully accepts donations to our bursary fund. We are working to build an online community space (the AOLC) for you to share stories, successes and to reflect and learn. It can provide a learning and community space that you can access at a time and location that is convenient for you.You may wish to be an active participant, posing and answering questions, encouraging others to share their stories, and actively contributing to the creation of a safe and welcoming environment. You may wish to browse and take your time before engaging with the online community. * When you register online for the first time you are automatically given an ACT Online Account. Use this account to participate in the ACT Online Learning Community, register for more live events or subscribe to online videos.